Vendors Archives - Mor Electric Heating's Blog about home, office & factory comfort heat & freeze protection for pipes & roofs. We are now an authorized stocking distributor of Stelpro Electric Comfort Heaters, Bath Fans, Floor Warming & Hand Dryers. 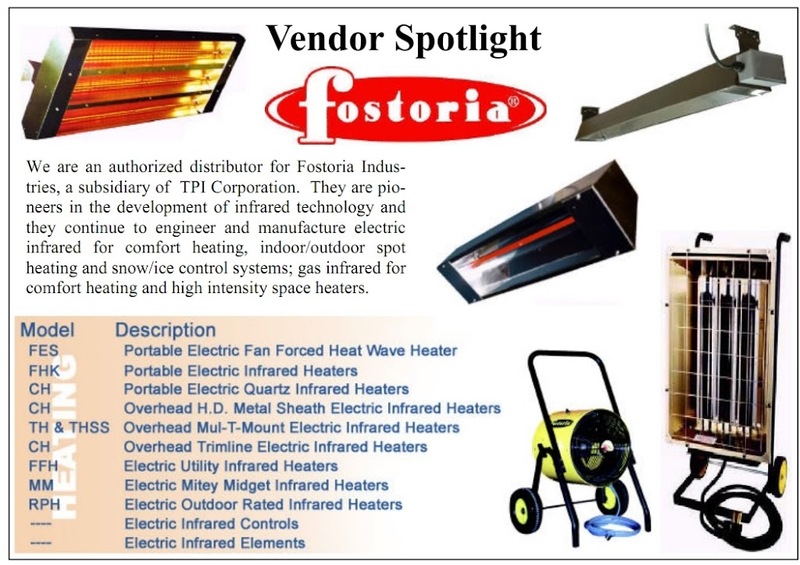 Mor Electric Heating has been selling TPI Corp. products (Fostoria and Markel) for 40 years! Linecard for Mor Electric Heating Assoc., Inc.
An intelligent all-in-one solution for ice and snow melting usable for all applications within hydronic as well as electrical heating. Optimal operation is ensured due to output control which makes the system both effective and economical. ETO2 offers you the possibility of snow melting – the green way. Using readings from temperature and moisture sensors, the controller ensures economical control of power consumptions when keeping outdoor areas and roofs free of ice and snow. The moisture sensor is installed in the surface of the outdoor area or placed in the gutter. As soon as moisture is detected, the ETO2 controller activates the snow melting system. Once the sensor has dried out, the thermostat immediately goes in afterrun and the system will continue to provide heat for a chosen time. The sensor type ETOG is designed for embedding into the surface of the outdoor area. ETOG detects ground temperature and moisture. The air sensor type ETF-744/99 can be used for measuring rapidly temperature decreases. 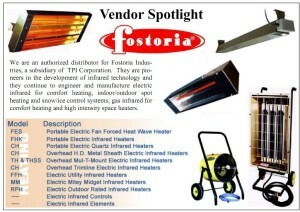 Mor Electric Heating is a Master Stocking Distributor for ETI. All of our salesmen are highly trained in snow melting controls. We even have one salesman here, Brian (known around here as “Heating Cable Guy”) at Ext. 7201, who has passed ETI’s certification program. The Econo-Heat Wall Panel Convector fills an important niche. The wattage is low (400 watts) and the surface area is big so it is comfortable/gentle on nearby room occupants. But it also prides enough heat to make a difference. The original Econo-Heat 400 Watt wall panel convection heater will allow you to save up to 50% or more on your heating cost. Instead of heating an object or person, the heater uses efficient convection technology to warm an entire room up to 120 square feet. Its ultra slim and compact design allows for discreet out-of-the way wall mounting and installs quickly and easily with the included installation hardware. Once installed, the heater can be painted to match the room decor and will operate silently and safely as there are no moving parts, no gas and no exposed heating elements. As the heater will not dry the air or burn up the oxygen in the room, you will experience warm, comfortable, efficient, safe and silent heating all season long. Come home to Econo-Heat, the warmth of a home. Save up to 50% or more on your heating cost. Efficiently warms a room up to 120 square feet. Ultra slim and compact design for out-of-the way wall mounting. Quick and easy to install with the included installation kit. Safer for children and pets – no exposed elements, gas or moving parts. Can be painted to match room color. Will not dry the air or no oxygen burn up. “Plug and Play” – 6ft cord with 2 prong plug. High Temp. Wire and Access.